Portrait of John P. Imlay, Jr. This is a black and white portrait head shot of John P. Imlay Jr. He is wearing a coat and tie and staring at the camera. 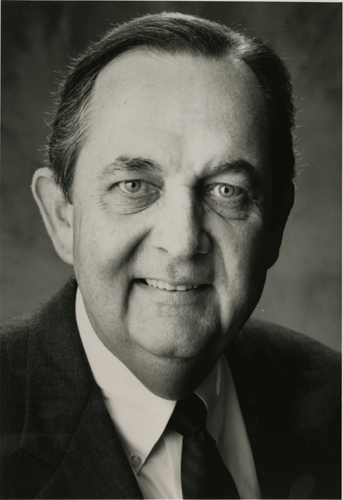 Written on the verso side of image on white label is "John P. Imlay, Jr. Chairman DUN & BRADSTREET SOFTWARE".